It's time to get ready for a new school year and this year our workshops will introduce teachers to area authors that we love! As a PA ACT 48 Approved Provider, teachers are eligible to receive 3 Credit Hours for attending this program. Meet children's picture book author Tiffany Strelitz Haber, author of the new picture book, The Monster Who Lost His Mean. Tiffany Strelitz Haber was born in NJ, raised in NYC, has traveled extensively and lives for adventures. She will taste any food she is served, be it fried Witchetty Grubs on a stick or Calf’s Brain Ravioli, and loves being high in the air or deep in the sea. Her obsession with rhyme began at the age of 3, when a nursery school admissions scout asked her, “What is a flower that rhymes with nose?”, and she proudly shouted: “Rose!”. Twenty-five years later (give or take), after a long career in finance, she has reconnected with her love of words and rhyme as a writer. 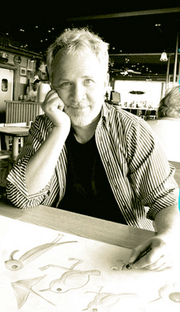 Author and Illustrator, Daniel Kirk, will also be joining us for a discussion and Q&A via Skype. His picture books with the adorable character Library Mouse is a favorite among teachers and librarians. The fee for the program is $25. Forms will be available the night of the program to receive ACT 48 Credit. Due to the planning and limited space for the event, in the event you cannot attend the event once your registration is confirmed, one week notice must be given to receive store credit. If less than one week notice is given, credit cannot be refunded. Daniel Kirk , Library Mouse. Daniel Kirk reads from Library Mouse. In Library Mouse, Sam lives in the library behind the children's reference books. Daniel Kirk is currently considered a "single author." If one or more works are by a distinct, homonymous authors, go ahead and split the author. Daniel Kirk is composed of 3 names. You can examine and separate out names.